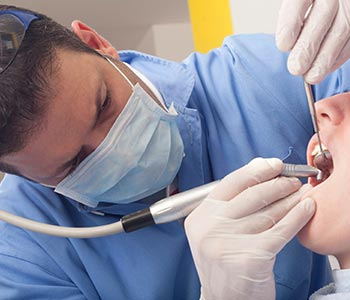 The potential dangers of mercury and silver amalgam fillings have become a rising issue in dentistry. Even armed with knowledge of mercury toxicity, some dentists still use amalgam fillings in their practices. Piedmont area residents can rest easy knowing that Dr. William Virtue of Virtue Dental Care is devoted to treating the whole patient safely, effectively, and more naturally. Dr. Virtue’s holistic practice includes the use of nontoxic dental fillings to restore cavities. The dangers of mercury toxicity have been known for years. Mercury is found in silver amalgam fillings. The mercury can leach into the body damaging the brain, nervous system, and kidneys. Temperature changes can cause the metal in these fillings to warp, which may result in structural damage to the tooth. Composite or tooth colored fillings mimic the appearance of natural tooth enamel, so others cannot tell you have had a cavity repaired. These fillings bond to tooth structure. This helps insulate the tooth, reduces risk of breakage, and restores stability. Composite fillings are durable and long lasting. Patients chew naturally. Less natural tooth is removed to place a composite filling. Dr. William Virtue has completed the necessary coursework in Safe Mercury Amalgam Removal Technique. Being SMART certified means he has been expertly trained, and is knowledgeable about the dangers of mercury, and in safe removal of amalgam fillings. He is a current fellow and in the past acted as president and secretary of the International Academy of Oral Medicine and Toxicology. Patient health and safety are his priorities. Whether you are searching for general dentistry or have specific cosmetic or restorative needs, contact Virtue Dental Care. Make an appointment with Dr. Virtue today Virtue Dental Care Patients call (336) 679-2034 and New Patients call (336) 679-2034.